Just want to say what a great blog you got here! I’ve been around for quite lots of time, but now decided to show my appreciation of your work! Well done, and all the best! The terminal is slated for demolition in August. I,too, will miss the Transbay Terminal. 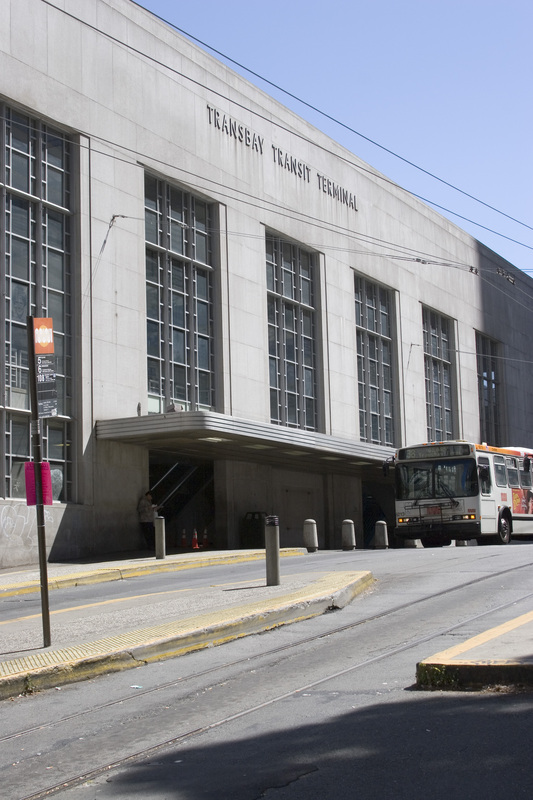 I was stationed at Treasure Island from 1964 through 1965 with the USN, and thus, caught the TI AC Transit bus hundreds of times at the terminal. Personally, I love Art Deco buildings, and I find it a shame than San Francisco plans to demolish the building. Throughout Europe, old buildings are saved, and restored. Here in the USA, we do our best to get rid of the old in favor of the new. Thankfully, I have visited San Francisco many times since my time in the military, including this past weekend while on a business trip. 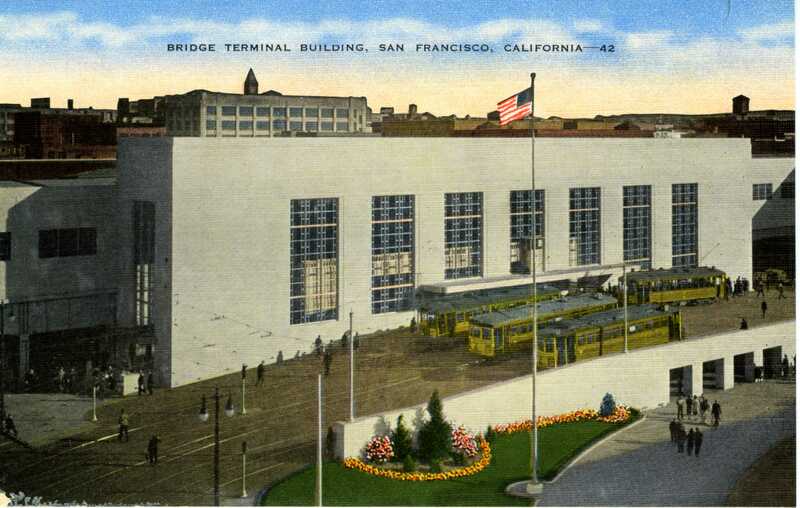 I always make an effort to stop buy the terminal and admire its Art Deco construction, and reminisce a bit about the my passage through the terminal while stationed at TI, and how San Francisco’s skyline in general is vastly different than the mid-60’s. I just read Art Deco San Francisco last week and visited the terminal today, Sunday. Good timing! It’ll be gone soon. I think it’s a great looking building on the outside. I love the awnings. Unforunately the inside dosn’t have much to recommend it. They should have saved this building. There are lots of interesting new buildings going up in this area and more promised. This building could have been a great contrast to all that. My feeling is that there is enough new–we should have tried to hang on to this great depression era building. New is good, and Pflueger would have liked the new. But we should have tried to hang on to this building nonetheless. I’m going to try to enjoy seeing the building in the few months left. I agree, we don’t do enough to preserve existing architecture in order to incorporate it into newer designs and “replacement” buildings. By the way, what will happen to the bronze plaque on the front of the Transbay Terminal honoring Emperor Norton for his vision of building a Bay Bridge? I certainly hope it will get a place of similar visibility and honor in the new TB complex.